When I coached high school baseball, I had to be CPR certified. I had to be ready to help save a life just in case something happened on the baseball field. I learned about the two breaths to every 30 compressions. I learned how to use an AED. I learned what steps needed to be taken in an emergency. Just like in CPR where there are two breaths, there are also two pivotal life altering breaths that took place that are recorded for us in the Bible. The first one takes place all the way back in the beginning of Creation. You can find it in Genesis 2:7. 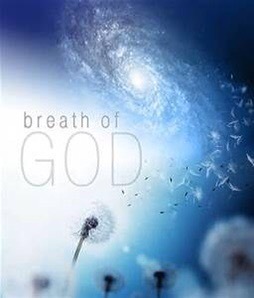 In order for the human race to become into existence, God had to breathe the breath of life into man. Man was just flesh and bones. Man was nothing. Man was lifeless. It took God breathing in so man could breathe out. The same is true for us today. We are just flesh and bones. We are nothing. We are lifeless. Scientifically we breathe in oxygen and breathe out carbon dioxide, but spiritually when we breathe in, we breathe in the breath of life that God breathed into us back in Genesis. The second breath is maybe more important than the first. You can find it recorded in the Gospels, more specifically Mark 15:37. Jesus while he was dying on the cross, cried out to God and breathed his last breath. It is because Jesus was willing to breathe his last we are able to breathe our first. Jesus took one last breath so we could take our first breath. We were dead. We were just flesh and bones. We were lifeless. We were nothing. Until Jesus took one last breath. Every time you take a breath, remember that God breathed in so you can breathe out. Reflect on the hope that Jesus breathed his last so you could breathe your first. Would She Still Say Yes?